Cornmeal, like honey, is said to have natural anti-fungal properties it appears to fight even the toughest toenail fungus quite well. 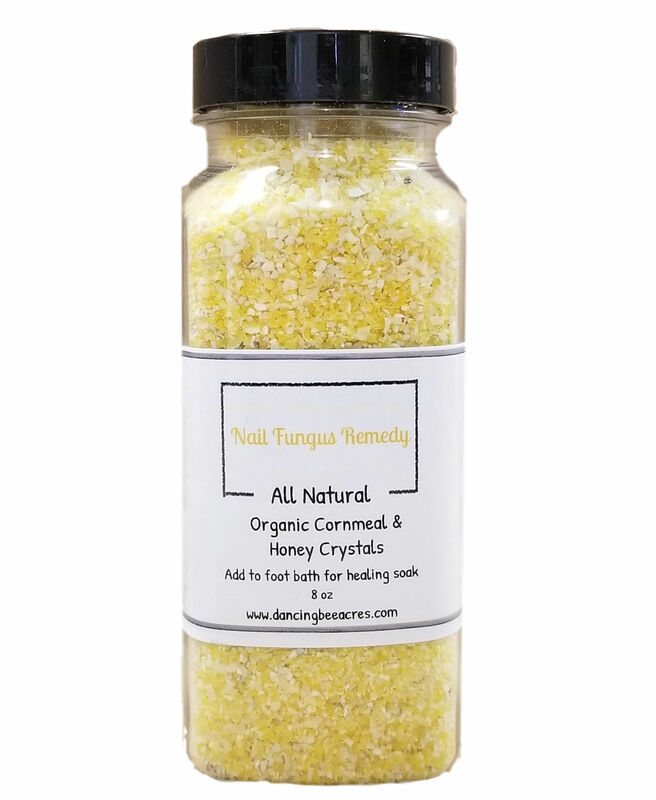 Many advocates claim that cornmeal & honey alleviates the pain and discomfort of nail fungus. With continued use, it is claimed to be able to penetrate the nail and fight the fungus directly which allows infected nails to grow.